Roads may be deteriorating in most Ex-YU-countries. Public transport is in bad shape. Health care is chronically underfunded. Almost the only thing money seems to exist for in abundance is religious buildings. That isn’t just irritating to visitors from more secular Western countries. It isn’t nearly as innocent as it seems. Perhaps a kilometer or so away is a blue tiled structure locals have dubbed the Swimming Pool. Both buildings are Catholic churches. They were put into the huge parks of the communist era part of the Croatian capital after the war ended in 1995. The Church’s attempt to re-evangelize the inhabitants of Novi Zagreb was generously supported by the then ruling nationalist party HDZ. Given the role the Church played in supporting and keeping alive Croatian nationalism in the Yugoslav era the only thing surprising about it is how litte awareness for this development there is outside former Yugoslavia. Catholicism is the only thing that distinguishes Croats from Serbs and Bosnjaks. Vice versa, it’s Orthodoxy for the Serbs and Islam for Bosnjaks. While there are some minor linguistic differences between what’s considered Croatian, Serbian and Bosnian, their respective official languages are so similiar to one another that most linguists would consider them dialects rather than distinct languages. This is especially true for Bosnia where the lines between what’s considered Bosnian, Croatian or Serbian get very blurry very fast. Religion being the only real distinguishing feature, it has become the pimary agent – and the primary source – of nationalism on the Balkans. 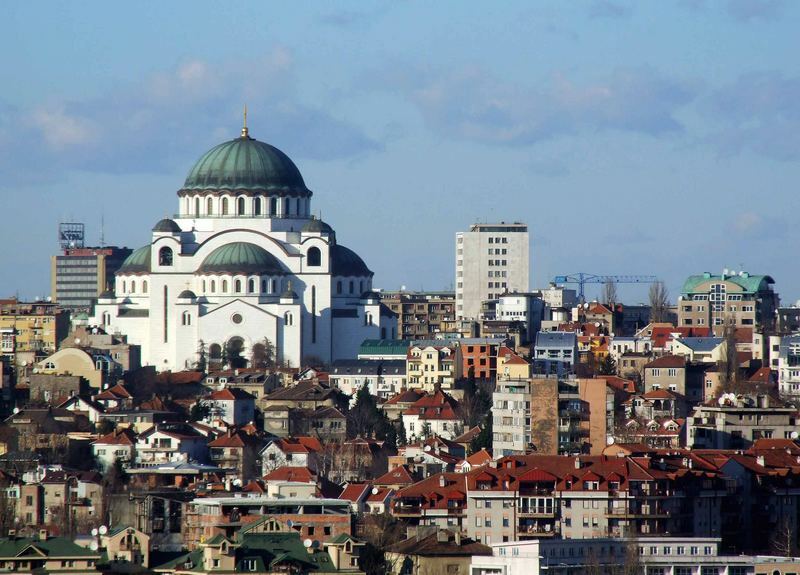 Hram Svetog Save, or Sveti Sava for short, the Cathedral of Saint Sava in Beograd, is another example of the rise of religion in the wake of the nationalist tide that has been flowing through the region since the 80’s. Albeit the most monumental one, second only, perhaps, to the carnival of Medjugorje. Construction was resumed in 1985 (the original plans are from 1935, the war and the communist government put an end to construction for decades), as a clear sign of re-awakening Serb nationalism in late communist Yugoslavia, making visible an ideology whose framework the Serbian Academy of Sciences had laid out a few years before. Croats had been a bit faster in finding their nationalist symbol. Medjugorje had become a focal point of not so covert nationalist and neofascist activities by 1985. The first „apparitions“ took place in 1981. It didn’t take local Franciscans long to get the crowds in. In Croat regions in Hercegovina, there has never been a lack of very devout and gullible Catholics. Hercegovinian Croats were the fiercest and most cruel Ustaše. In the war in the early 90’s they did their best to live up to that reputation. Bosnia was soon to follow. As our bus leaves Bosanski Brod I see shot up or burnt down houses along the road to Sarajevo. This part of Republika Srpska, one of the two entities that officially make up Bosnia, borders on the Croatian region of Slavonija. Serb militia held Slavonija for four years during the war and declared it the Reprublika Srpska of Knin. It was there that „ethnic cleansing“ started. It was there that it ended. First, Serbs drove out Croats by the tens of thousands. In 1995 the Croatian army reciprocated and while being at it, did some „cleansing“ on the Bosnian side of River Sava the border as well. An area, it should be said, had been „cleansed“ by Serb militia (with the help of the Yugoslav army) before. With some of the villages and hamlets in this area it is impossible to tell who „ethnically cleansed“ whom. While many of the houses destroyed back then have not been repaired to date, houses of worship seem to be in surprisingly good shape in this part of the world. The characteristic domes of Orthodox churches shine bright in the morning sun. As do Catholic church towers and minarettes. They were the first things to be rebuilt or renovated after the war ended. „We can not imagine how important churches and mosques are to these communities“, Daniel, a friend from Vienna, tells me. „They form the backbone of their social lives“. This is only partly true. Undoubtedly religion plays a greater role in rural communities than it does in cities. 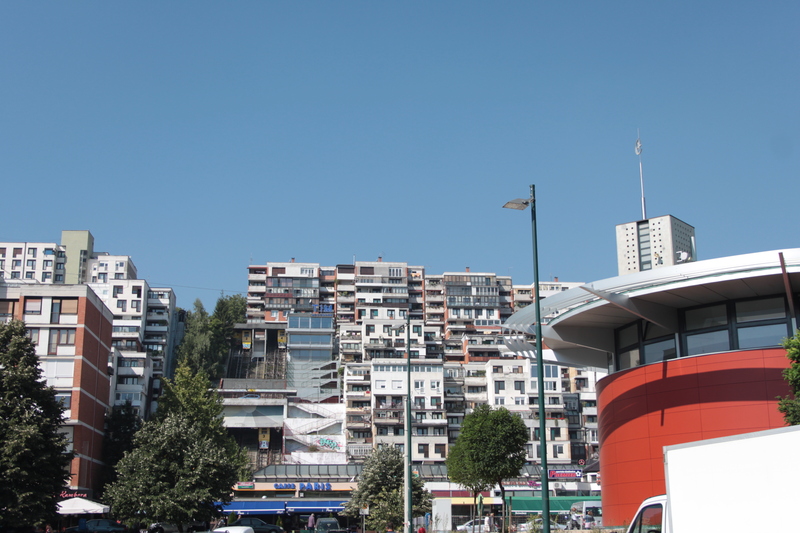 Those buildings now reinforce the ethnic divisions and make it even harder to reconcile. Especially if one keeps in mind that for Serb and Croat nationalists, there is no such thing as a Bosnjak ethnicity. To them, Bosnjaks are just Serbs or Croats that converted to Islam during the Turkish occupation. The mosque at the foot of the hill that forms Ciglanje quarter in Sarajevo is a nice, although not spectacular, example of modern architecture. It certainly is the most beautiful of the new mosques built in this part of the Bosnian capital. The others, built with Saudi and Emirate Money respectively, are just expensive concrete versions of traditional Islamic religious architecture. The one at the foot of the hill might as well be a small museum or a modern version of the restaurants along Vienna’s waterside. The only thing that gives it away is the crescent moon on the unusually short minarette. „The people here didn’t want the mosque“, my friend Majda says. „The modern architecture was a compromise so they wouldn’t protest as much.“ Plus, it was built on a parking lot far away from the apartment houses. It doesn’t block anyone’s view and doesn’t block any space anyone could have more productive use for. There are several new mosques in Sarajevo. Most are way more domineering than this one. That doesn’t make Bosnjaks any more religious than Croats. If anything, they are the most secular ethnicity in former Yugoslavia. Mosques are usually a lot smaller than churches. It takes a lot more of them to service a given number of people than it would take churches. While this may be a challenge in terms of logistics and maintenance it also makes religion even more visible than in other parts of former Yugoslavia. Which in turn leads Croat and Serb nationalists to believe that „the Turks“, a derogatory term for Bosnjaks, are trying to take over the country as mosques are springing up everywhere. Just like their Serb or Croatian counterparts these mosques are Symbols of emerging nationalism. The point could be made that Bosnjak nationalism has some catching up to do. Alija Izetbegović, later member of the Presidency of independent Bosnia, may have formulated his views that form the basis of religious Bosnjak nationalism in the 1970’s and spent some time in jail for it, but it did take until the 90’s for his ideas to gain somewhat more widespread popularity. Now, social pressure is rising for many Bosnjaks to publicly profess their religion. „At the Faculty of Philosophy there are many employees who demand space for their prayer mats“, another friend tells me. Some restaurants are advertising that they are „halal“. They adhere to the strict dietary rules of Islam. That includes, among other things, banning all pork and alcohol. Religious literature, including the Q’uran, is to be had readily at a lot of news stands throughout Sarajevo. For many, only a religious Bosnjak is a good Bosnjak. Just like one has to be a good Catholic or a faithful Orthodox Christian in the eyes of Croat and Serb nationalists. This development is heavily supported by the Turkish government. It sees Bosnia as its gateway to the West. Most Bosnjaks seem yet to be unaffected by it. Even though „halal“ places are spreading, they still are a rarity. Alcohol is to be had readily in Sarajevo and elsewhere. Other traditions of Turkish and Arab Islam are a rarity here. A Tourist Attraction. In A Way. As two of my Bosnjak friends see two veiled women at Baščaršija sometime last September, the market area in the city center of Sarajevo, they get out their smart phones. „They are certainly tourists“, they tell me with a smirk and run up to them to take photos. As it turns out, they are part of a tourist group from the Emirates. „We told you so“, my friends say, proud of their photos. This scene could still play out today and probably for years to come. Religion is a slow acting poison. But one that’s hard to get rid of once it’s been spread. The new religious buildings on the Balkans will set communities apart for generations to come. They make it possible to tell who’s member of which ethnicity when all other ways of determining that have failed. That’s the last thing this region needs.